It seems like a paradox, but how can someone with acne breakouts have dry and sensitive skin? We have always associated acne breakouts with oily skin. The assumption is that if you have oily acne-prone skin, your skin is naturally well-moisturized. The reality is that many acne-sufferers often have dry skin that makes them sensitive to drying acne treatments like microdermabrasion, chemical peels, and acne creams. Dr. Raffy Karamanoukian has built a namesake skincare brand called Kare MD Skin Health that addresses the subset of acne patients who can’t tolerate acne products that dry out their skin. As a leading beauty innovator and plastic surgeon to the most influential cadre of patients in Hollywood’s entertainment scene, he knows all-to-well that commercialized acne products don’t cut it for every skin type. 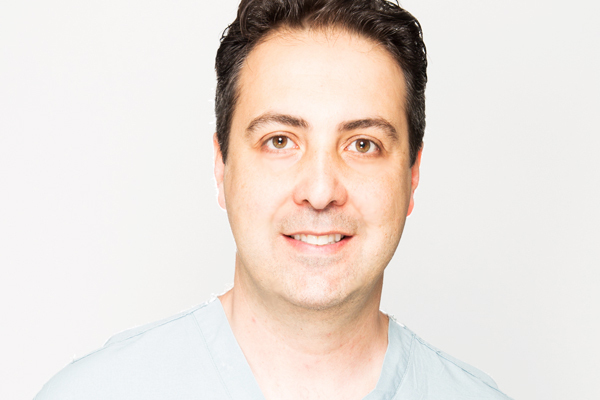 In his exclusive Kare Plastic Surgery and Skin Health Center on upscale Montana Avenue in Santa Monica Beach, Dr. Karamanoukian discusses his take on the best skincare for dry and sensitive skin associated with acne. How can someone with acne have dry skin? Dr. Raffy Karamanoukian: I have had countless acne patients come to my office in Santa Monica or Beverly Hills complaining about dry skin. They all shared one thing in common — dermatologists who coerced them into aggressive treatments that dry out their skin. It’s a common myth that drying solutions control acne. I have found that many acne-sufferers have ‘reactive skin’ that requires a delicate balance of drying and moisturizing that keeps their skin in harmony. Any suggestions for dry skin and acne? Dr. Raffy Karamanoukian: Uncontrolled acne can lead to acne scars, so there is an important need to control acne breakouts before they get out of hand. Some of the most important acne-control products are inherently drying (Retin-A, retinoids, and benzoyl peroxide), and sometimes we have to use them. I have found that when the skin dries out, ceramide creams are absolutely wonderful. 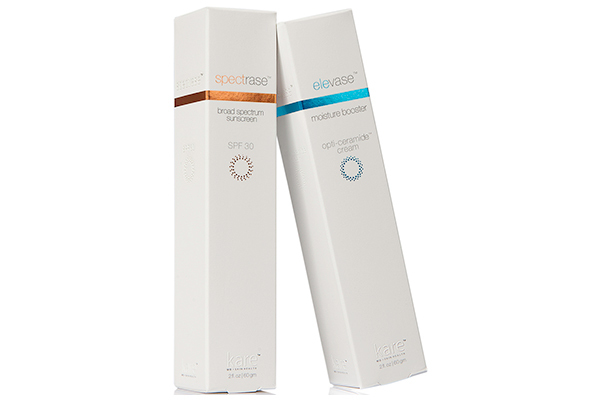 In my office, we recommend Elevase Moisture Booster by Kare MD Skin Health, which contains a complex of Opti-ceramides that can help enhance the skin’s natural moisture barrier function. Do you have any recommendations for a good facial wash that doesn’t dry out your skin? Dr. Raffy Karamanoukian: It’s always important to consult with a dedicated skincare professional before initiating your acne regimen for the first time. An expert can lead you in the right direction so that you can develop a ‘game-plan’ for your acne. For sensitive skin, we often recommend HydraseTM Soy Facial Cleanser by Kare MD Skin Health that is rich in moisturizing soy amino acids and skin-smoothing calendula, chamomile, and witch hazel extracts. How important are facials for acne-prone skin? Dr. Raffy Karamanoukian: Everyone has a bad skin day and it’s important to pamper yourself once in a while if you are having recurrent breakouts. Many skin experts are shying away from abrasive microdermabrasion as it can sometimes irritate your skin. At KarePlastic Surgery &Skin Health Center, we recommend the Hydra-GlowTMfacial which uses enzyme-based Vortex Extraction to detox your skin of acne-causing impurities, followed by LED Red and Blue Light. The Hydra-Glow facial takes less than an hour, helps detox and purify your skin, and gives you a refreshing glow. Non-drying, the treatment is topped off with some moisturizing SpectraseTM sunscreen by Kare MD Skin Health. Dr. Raffy Karamanoukian recently opened a contemporary and state-of-the-art plastic surgery and skin health clinic blocks away from famed Santa Monica Beach. He is available for consultation by appointment at Kare Plastic Surgery & Skin Health Center (804 7th Street, Santa Monica). You may head on to www.kareplasticsurgery.com to know more about the services that they offer. This post is sponsored by Kare Plastic Surgery and Skin Health Center. Thank you for supporting posts that keep Style For Mankind running!